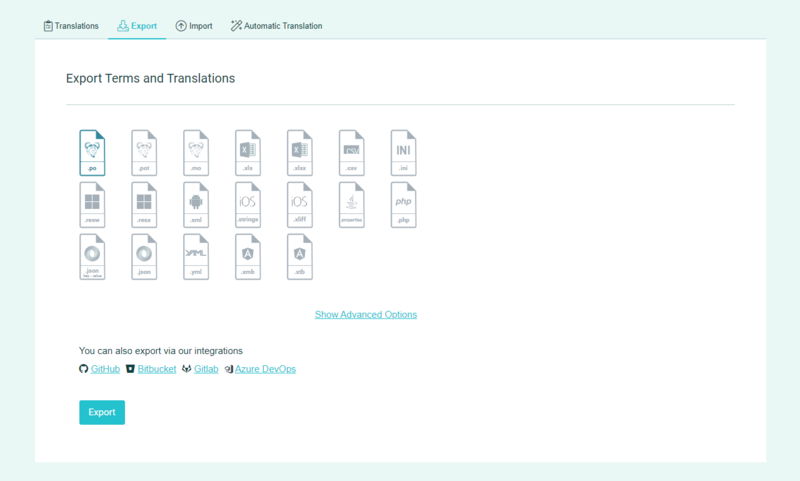 Login to your account, create a new translation project and add a language to it (your software's default language). Use the Options Menu in the project page to import your iOS XLIFF file, with translations in the language you created, checking to get translations from <source> instead of <target> tag. This language will automatically be set as your project's Default Reference Language after you import the translations. You can change the DRL in Project Settings. If you have translations in the <target> tag also and want to add them to the project, create a new language and import them there. Add your desired languages for translation, invite your contributors to join and start localizing your app. Once you are done with the iOS software localization, you can export the iOS XLIFF file using the Export functionality in the Options Menu on the language page. Keep in mind that to export this format it is required to have a Default Reference Language set.